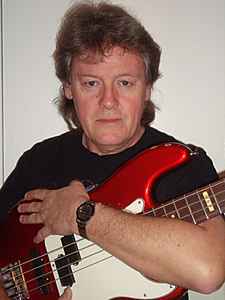 Mark Clarke (born July 25, 1950, in Liverpool, England) is a former member of Colosseum and Uriah Heep. He was bass guitarist for Colosseum from 1970 until 1972 (and 1994 for Colosseum's reunion), when he joined Uriah Heep, performing (and co-writing) on just one studio track "The Wizard" on their 1972 album 'Demons & Wizards'. Mark has also played bass on Ken Hensley's solo albums.